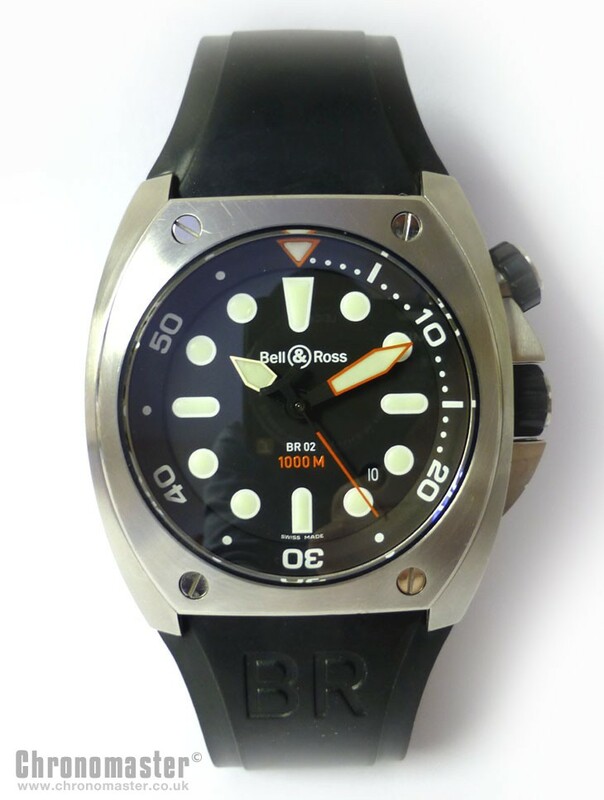 Mint condition Bell & Ross BR02-92 Marine with Pro dial. 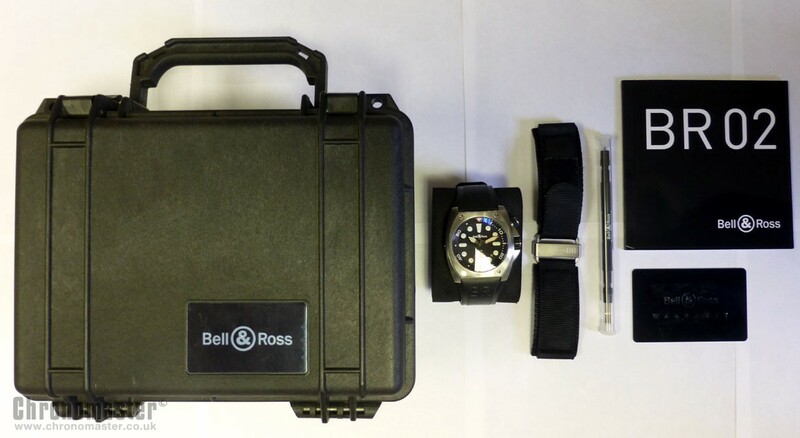 The watch dates was originally purchased from authorised Bell & Ross dealers, Charles Fish at Canary Wharf in London in 2008 and comes complete with all box, papers and accessories. The UK retail price for the watch is £2,300.This is a handsome looking utility watch with matte black case and dial, and large pro dial, with indices and hands with photo luminescent coating. 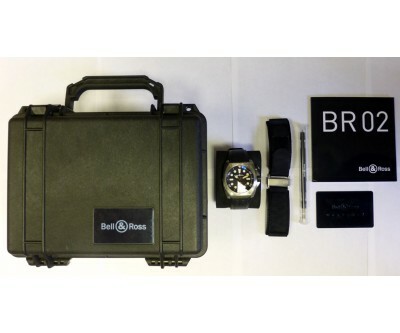 The BR02 instrument is designed for ‘professionals where every second counts, and integrity is of essence. 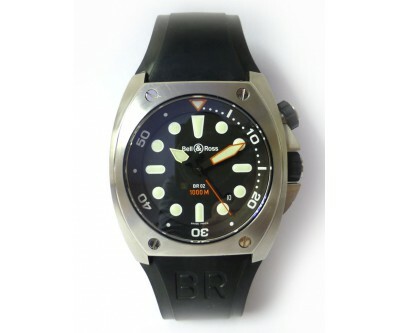 As such it is a professional standard 1000 metre divers watch. 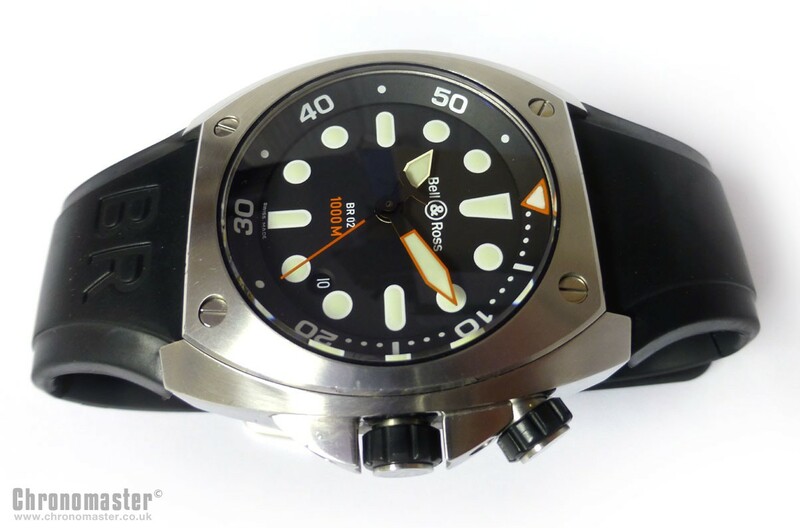 It has got an internal rotating bezel secured by a screw down crown at the 2 position, the internal bezel is unidirectional and toothed, graduated to 60 minutes with luminescent pointer. It has got a helium escape valve at the 9 position in the case. 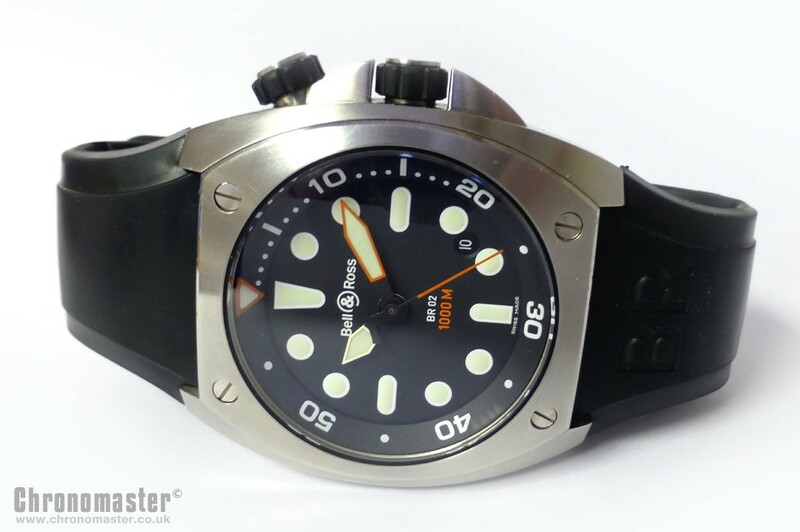 The watch is large and substantial and a real eye catching piece, the case brushed stainless steel with thick sides, four bezel screws and a bit of a retro feel to it. 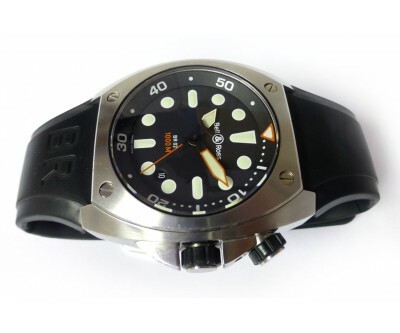 It has go a scratch resistant sapphire crystal, and Swiss made ETA automatic movement. 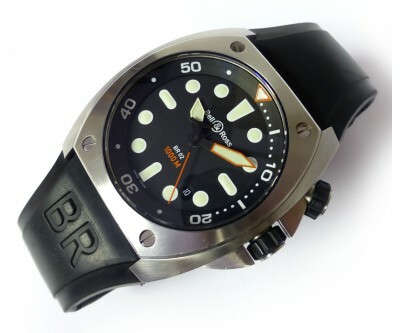 It comes on the original singed rubber strap with pin buckle. 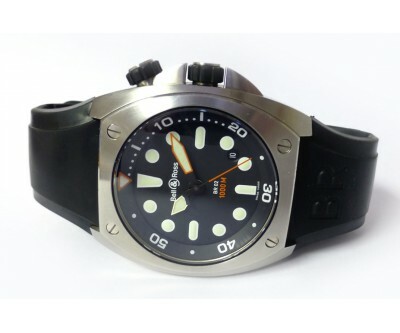 Dimensions are as follows: width is 44 mm excluding the crown, 47 mm including the crown, 52 mm lug to lug, 12 mm thick.